Hello! 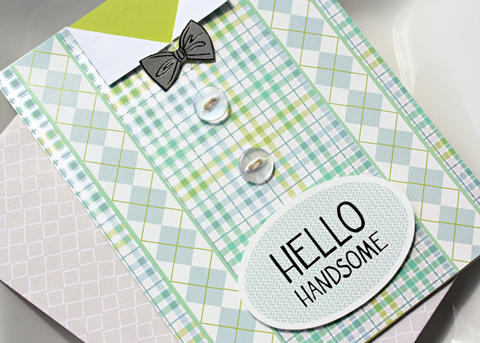 It's Kelly here sharing a card using the sweet and masculine Hello Handsome collection. 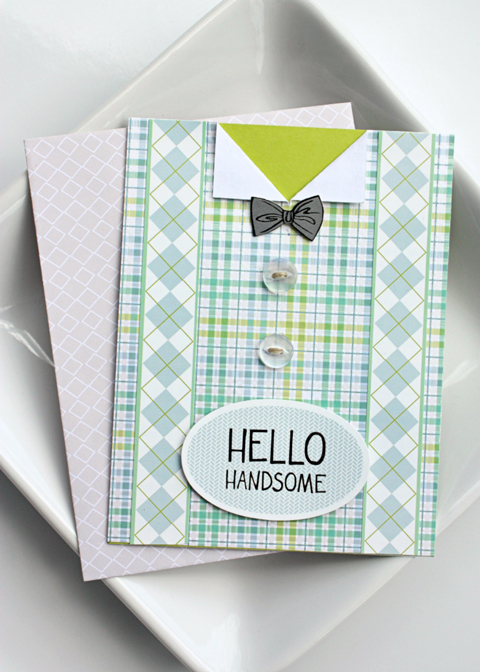 I love to make cards that look like shirts...It's even better if I have bow-ties! I started by cutting a 1 inch slit down the top/center of a 4.25x5.5 piece of patterned paper. Folding the corners formed by the slit down, I creased them...making my 'collar'. 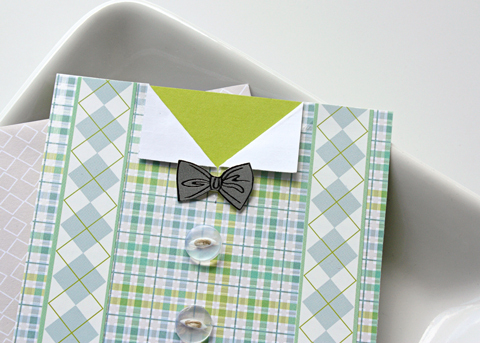 I then adhered the patterned paper to the front of my card. I made the 'suspenders' by cutting a border sticker in half and sticking them down on both sides of the card, trimming off the ends. Using dimensional tape, I stuck the bow-tie down under the collar...followed by a couple of threaded buttons. I finished up by popping up my sentiment sticker with foam tape, and placing it bottom/center.